CRAFTING A TIGHT CONNECTION WITH A HIGHLY TARGETED AUDIENCE. Fashion Angels mission is to empower tween girls to become confident and stylish young women by providing them with experiences that encourage them to believe in themselves, express themselves and to be happy with who they are and proud of what they can do. 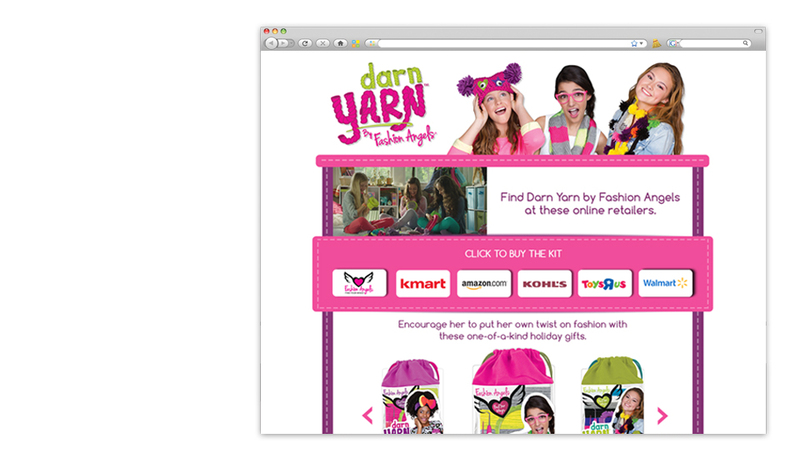 Seeking to make a splash with the launch of its latest tween knitting kit, Darn Yarn, Fashion Angels engaged the “agency alternative” to produce their first national broadcast television and digital advertising campaign that would run during the holiday shopping season. Building off that insight and the concept of open-ended play, Plan B developed a TV campaign that ran on ABC Family and Disney, and companion digital ad campaign. 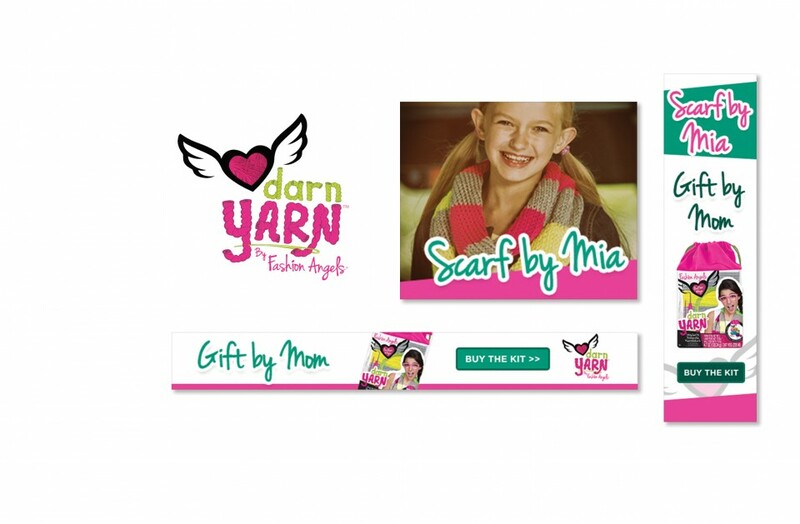 The digital campaign was comprised of programmatic display ads and direct buy retail ads targeting the mom and gift giver audience, and :15 pre-roll video ads targeting the tween audience. The campaign worked: At major retailers, Toys R Us, Kohl’s and Kmart, Fashion Angels sold through 93%+ of its inventory. The digital ad campaign garnered over 138 million impressions with 158,000 clicks, exceeding industry standards with over a .10% click through rate. 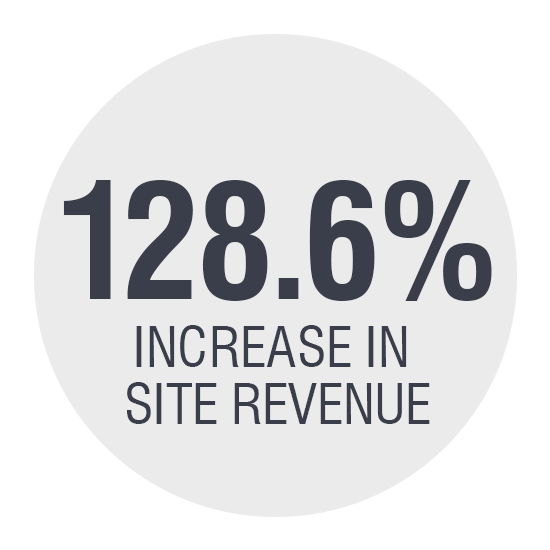 The Fashion Angels website performance went through the roof with a 55.6% increase in website traffic, 15.9% increased page views, 128.6% increase in site revenue with website transactions up 102.9% vs. the same time period in 2013.